It’s Halloween this Friday and Giant Burger are playing a ghoulish gig at Paper Dress Vintage in Shoreditch, alongside The Indelicates and Night Flowers. 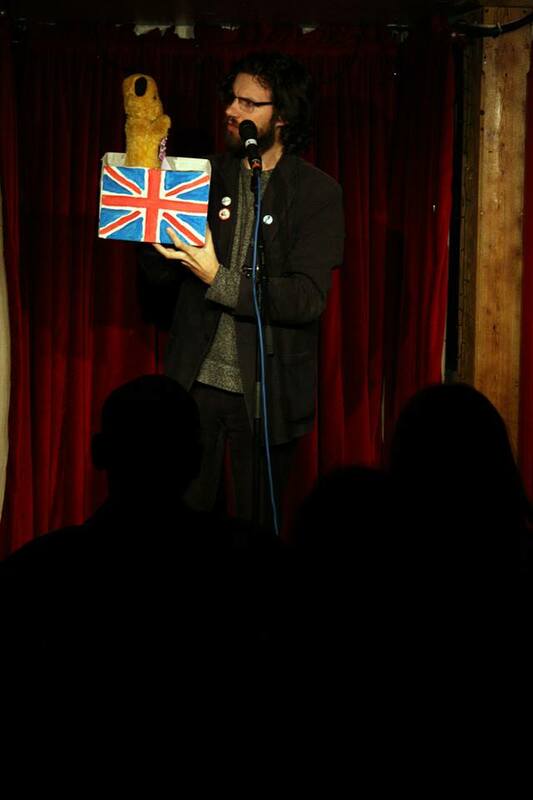 I’ve been doing a fair ol’ bit of stand-up lately, including a rather delightful puppetry themed night yesterday at Jester Jesters (hence Sooty) and I’ve got a lot of spots coming up before the year is through. Look at the Stand Up page for full listings. Hopefully see you at something soon! Hope your 2014 is going well so far? Mine’s been jam-packed with all manner of nonsense. I’ve been doing a fair few stand-up gigs, and you can see which ones are yet to come on the Stand Up page by clicking here. The band also has some gigs coming up, and you can get a full run down of those at our website. I hope you continue to have a lovely year and there’ll be more updates from me as, and when, things happen. Stories For Homes Paperback Launched! Following on from the e-book version, the paperback of Stories For Homes has been released. To celebrate there was a launch party at the Bookseller Crow in Crystal Palace, where I got a chance to meet a fair few of the other contributors to the book, alongside Sally Swingewood and Debi Alper who had the idea and created this wonderful anthology. 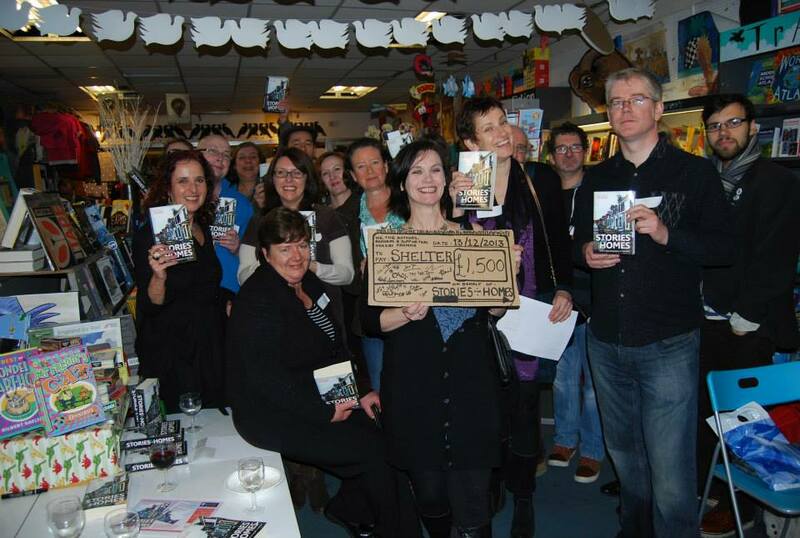 Which, a mere twelve days after being printed, has raised over £1,500 for Shelter. The book has become a Best Seller on Amazon’s anthology charts and I heartily implore you to pick up a copy, as all the proceeds will go to Shelter, which is a great charity helping those with housing issues.